Of the four primary ingredients used to make beer—water, hops, malts, and yeast—water comprises the bulk of the brew. Because beer is more than 90 percent water, the quality of the brewing water can greatly impact the quality of the beer. 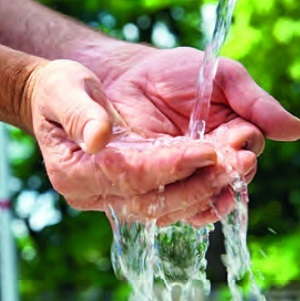 Protecting the purity and integrity of water sources is of utmost importance to breweries that depend on clean, pure water to create quality, consistent beer. Like hops and barley, water can have terroir, based on geology, pH, and mineral content. Just as New Yorkers claim the city’s bagels and pizza dough are so good because they’re made with New York water, a region’s water and water sources can affect beer flavors and influence favored styles. 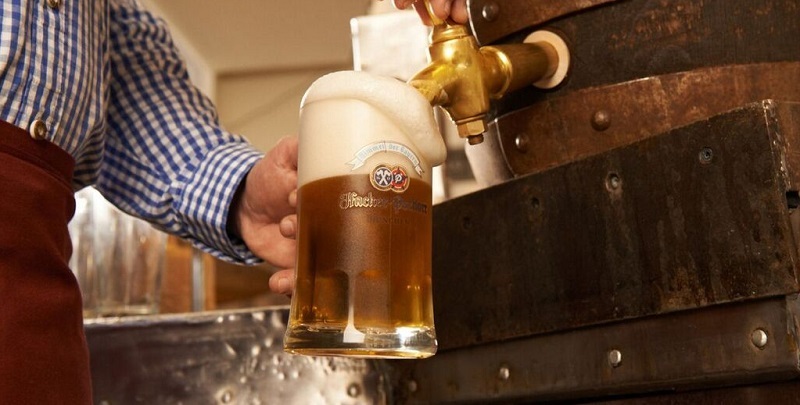 German brewery Hacker-Pschorr makes its beers with naturally soft water drawn from Munich’s protected underground wells. These wells delve more than 700 feet down into the tertiary layers of the foothills of the Alps. This water has been deep underground and untouched for as long as 12,000 years. The European brewing industry has depended on the quality of local water for centuries. Hacker-Pschorr beers have been produced since 1634. The brewery produces a variety of beer styles, including Weisse, Oktoberfest, Munich Gold Lager, Weisse Dark, and Munich Dark Lager. The pure water used by Bavarian brewers is similar to the famous soft water of Pilsen, in the Czech Republic, home to many world famous Pilsner-style beers. This water is particularly suited to making delicate Czech and Munich lagers. Thus, it makes sense that these beer styles developed naturally and became the highly prized, traditional choices of these regions. Thus, protecting breweries’ historic and native water sources has gained importance—both for supply and flavor. Preserving Germany’s underground water sources for beer making has become a governmental priority—to that end, the nation’s government recently passed laws prohibiting fracking. Drilling into the earth to direct high-pressure water at the rock in order to release gas and oil can taint water supplies and is widely considered environmentally suspect. “Because Germany’s ancient beer purity law, Reinheitsgebot, requires we brew only with the four traditional ingredients of water, hops, malt, and yeast, it’s even more important for each of these components to be as clean and pure as possible,” Zuber says. The Bavarian brewing community worked together to solicit the government’s support to protect one of Germany’s ancient and profitable industries, brewing, and to help keep its water sources intact. 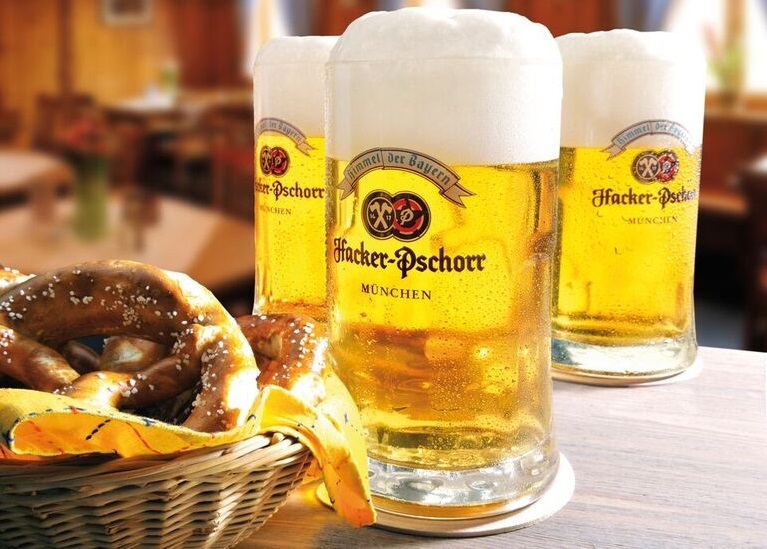 Centuries of brewing with water drawn from deep below the Alps gives Hacker-Pschorr beers their own terroir, which in turn, offers beer lovers the consistent quality and flavor they’ve come to love and appreciate from these beers.